The emigrant ship Moravia crept into its dock in New York late on the night of August 30, 1892. The ship was sent straight to quarantine. On its ten-day voyage from Hamburg, Germany, 22 of its 358 passengers had been buried at sea, victims of Asiatic Cholera. Two more passengers convalesced in the ship’s hospital, suffering from similar symptoms: vomiting, nausea, and excessive diarrhea. Those aboard ship did not know that cholera had been discovered in their departure city in the days after their ship left port. Consequently, they did suspect cholera was aboard ship with them as they travelled toward the United States. The Moravia set sail from Hamburg, Germany on August 17, 1892. Less than a day later, a small boy aboard ship in steerage began suffering from severe and excessive diarrhea. No one yet suspected Asiatic cholera. Sickness among emigrant children in steerage was common on transatlantic steamships. By the end of the second day, however, the little boy suffered convulsions of increasing severity and eventually became rigid and died. Hours later, a nine-month-old girl succumbed to similar symptoms. Those aboard ship did not comment much on the deaths of the youngsters as their bodies were sewn into weighted gunney sacks and cast into the Atlantic. The deaths of five other children soon followed and the hospital filled. Within days, more children began to develop diarrhea, cramps, and cold chills. Their skin began to blacken from their illness. The ship’s doctor, Dr. Israel, observed the sick infants and children aboard the ship, but dismissed their illnesses as the more common and non-epidemic cholera morbus instead of Asiatic Cholera. The doctor blamed the children’s symptoms on the hot August weather and the tight conditions within steerage. Dr. Israel called for all children to come on deck, thinking the open air and sun would help them. The next day, though, two more children died, and, on the day after, one more perished. Deaths were common aboard immigrant ships, especially among children; but when four more deaths occurred two days later, people began to grow nervous; two of the four deaths were adult passengers. The rapid onset of death was also troubling to the passengers. All of the deaths occurred within 48 hours after the first symptoms began to show; most died within 12 to 16 hours. The Ship Manifest listing passengers aboard the Moravia: top of the first page. As the Moravia approached New York toward the end of its journey, Joseph Roth, a pilot for the port of New York, boarded the Moravia carrying news of Asiatic Cholera’s spread into Hamburg, the ship’s origin. He noted some sickness aboard ship, but was reassured by the Moravia’s medical personnel that all of it could be attributed to the non-epidemic cholera morbus. The Moravia’s medical personnel learned from Roth that the spread of cholera into Hamburg had been announced. The officers and passengers aboard the Moravia had no idea of the panic that had since surfaced on both sides of the Atlantic. Passengers began to grow alarmed as the ship was turned away from New York and toward quarantine. The following morning, its passengers were removed from the ship to Hoffman Island, where they were bathed and their clothing was fumigated. After that, they remained in quarantine while doctors waited to see if cholera would develop among them. While the Moravia languished in quarantine, other steamers approached New York, the Rugia – three days behind with 300 passengers, the Normannia, five days behind that with 700 aboard, and the Scandia, which had left two days after the Normannia with nearly 900 aboard. The US quickly determined that the country was at risk of a cholera outbreak. The US Consul ordered the steamship lines to fumigate the baggage of all incoming passengers with sulphur fumes for no less than six hours. Boston nervously listened as news reached its streets that cholera had been identified on board the Moravia, and that 22 cholera victims had been buried at sea. Older residents recalled the city’s cholera outbreak of 1849, which resulted in 611 deaths. Boston port officials had been enforcing stringent health regulations at immigration ports, singling out Russian steerage passengers, and enforcing the disinfection of all arriving vessels that contained them. Disinfection was eventually extended to include all ships arriving from Havre and Hamburg too. At Boston, all luggage belonging to immigrants was steam-heated to 230ºF for 20 minutes. Also, all immigrants were removed from the ships while it was washed and disinfected. 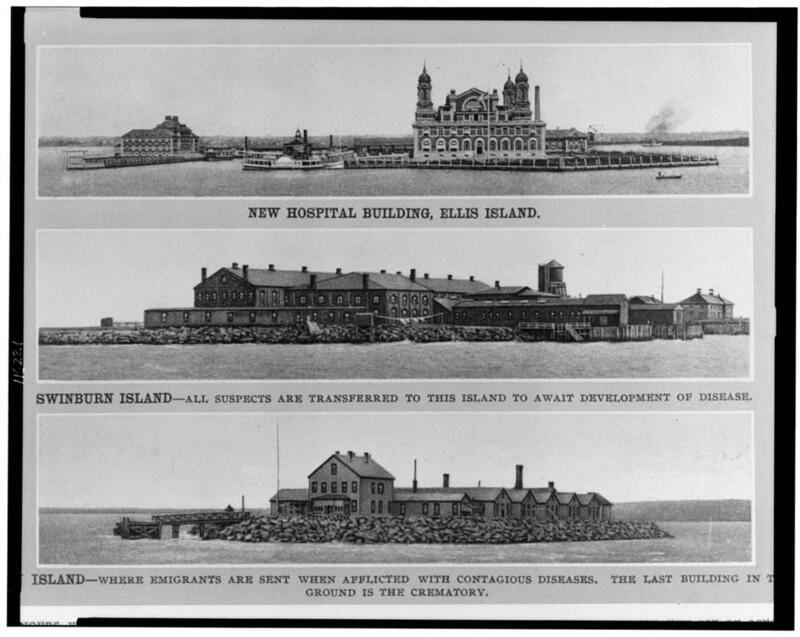 Any cholera patients among them were diverted to Gallop’s Island. In the city, health precautions extended beyond those aimed at immigrants Filth was removed from city street, cellars, and dirty tenement houses. Plans were laid to prevent the spread of cholera to New England were it to surface in Canada. In this case, health officials planned to stop all Canadian immigrants arriving by train, where they would be examined. They, along with their clothes and belongings, would be disinfected. Several days later, another ship, the Catalonia, arrived at Boston’s quarantine station at one o’clock on the morning of Monday, September 12, 1892. One thousand passengers were aboard, including 700 immigrants. Even though an order had been issued prohibiting the transport of immigrants, the order had taken effect after the Catalonia had sailed. Bostonians nervously read the 692 of the steerage passengers came from Europe, and that some of these likely hailed from Hamburg. Health officials watched the steamer as it approached Boston and noted no signs of cholera. Soon, a port physician boarded and carefully examined steerage passengers. Still, no traces of cholera were detected. The ship was eventually diverted to Gallop’s Island where immigrant passengers, 30 passengers from second class included, were administered a scrubbing as part of the disinfection procedures. At Gallop’s Island, the Catalonia was delayed for two or three days before it was allowed to dock. Non-immigrant passengers from the ship’s first- and second-class cabins were brought to Boston a few days earlier on tug boats. As September progressed, officials reassured the public that the cooler weather would slow the spread of cholera. Steerage passengers aboard the Moravia and the other infected ships remained under quarantine at the Swinburne and Hoffman Island hospitals. By September 12, deaths from cholera had slowed considerably. The Moravia had not had a new case in nearly a week. Officials vowed to hold the infected ships away from the city for at least ten more days, which soothed the fears of those in New York and beyond of the immigrants carrying cholera to their wharves and into their streets. 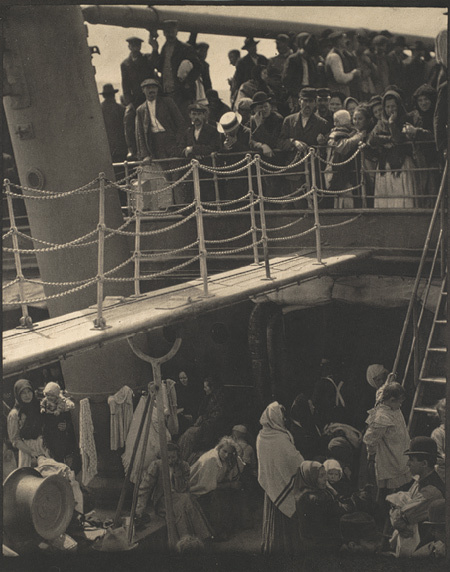 Steerage passengers aboard the Moravia did not reach dry land until September 22, 1892, over three weeks after they had first approached New York, and over a month since they had left Hamburg. Very interesting, Ryan! By the 1890’s, a connection between cholera and contaminated drinking water and food had been established, though some still insisted that the cause was breathing foul air. Don’t think they had actually identified the Cholera bacterium or anything, but they knew that good sanitation prevented the spread of the disease. My grandfather, Henry Borchardt, was on this ship. He was eighteen months old at this time, and because they were brought up on deck, he saw a whale, which he remembered all his life. The family then travelled to Galveston, Texas, and settled in DeWitt county as farmers. He was one of the founders of St. John’s Lutheran Church in Westhoff, TX. Searching for family members immigrating in 1892, brought me to this site. I found the arrival dates interesting, and may help in locating information. Thanks for the research. My great grandfather was a passenger on this ship. He came to America at age 64 and only lived for three years after arriving. He settled in San Francisco.